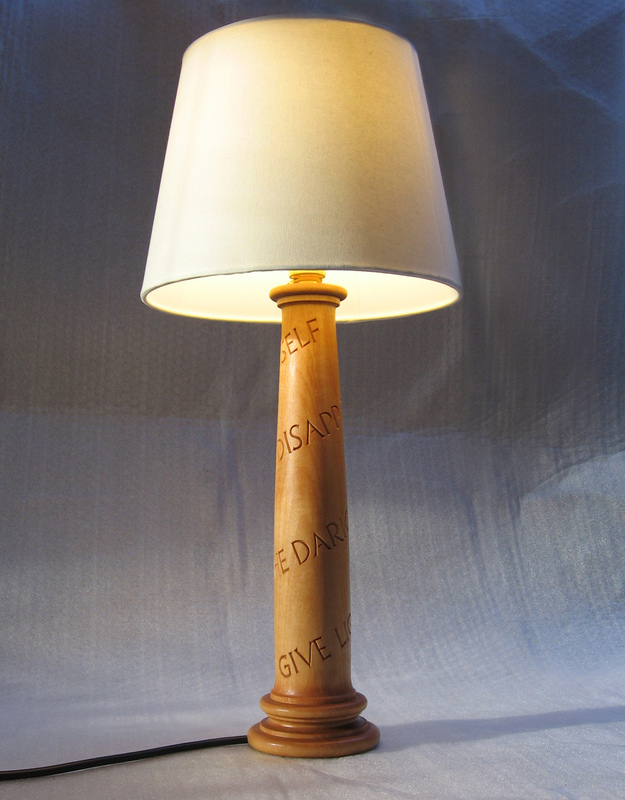 This lamp is turned to the same proportions of a Greek Doric column. 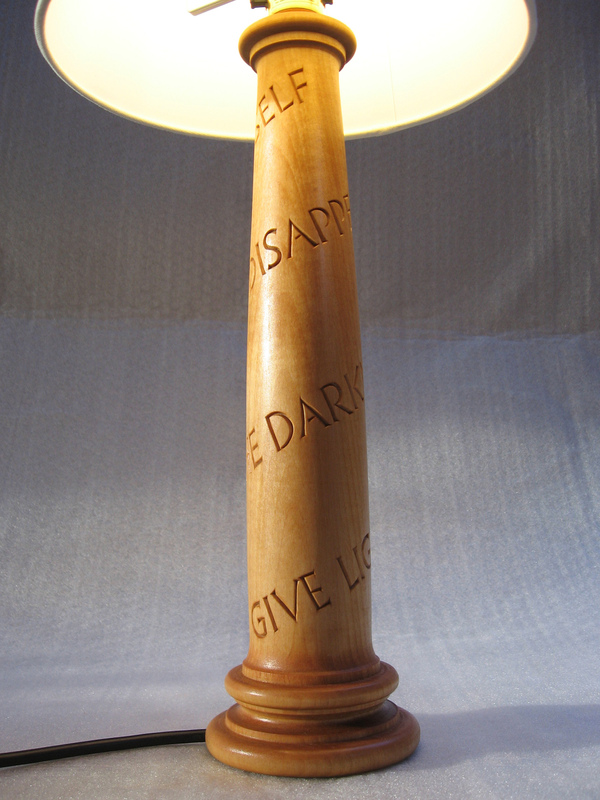 The quote carved onto the column is from the Renaissance Philosopher Erasmus. I liked the idea of the overlap between the everyday function of turning on a light to read and the en’light’enment that influenced who we are today.